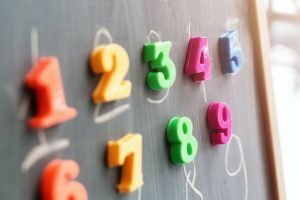 As a Seattle area Educational Consultant, I’m often asked by parents which standardized their child should take for admission to independent schools. This is a great article about the differences and similarities. This article is sponsored by Test Innovators, which offers advanced online test prep. Although private and boarding schools offer families compelling programs and advantages, the admissions process — which can begin a year or more ahead of the entry year — can seem daunting. 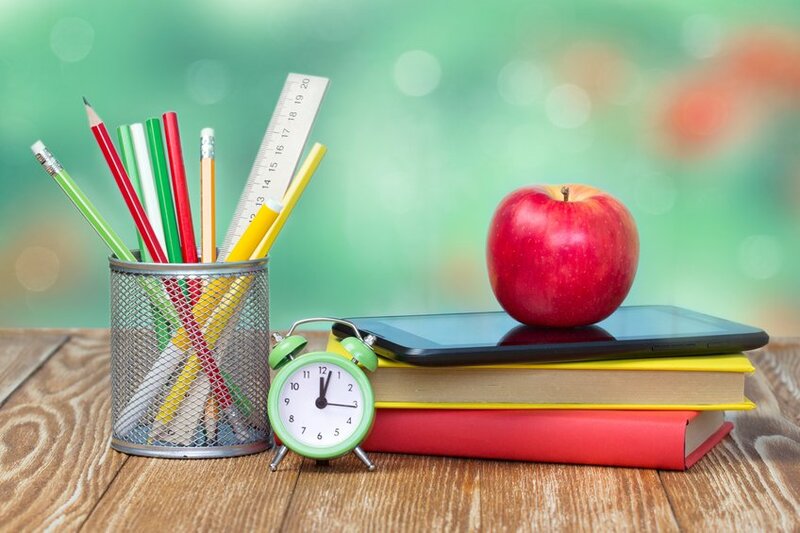 The first hurdle many families encounter in the application process is unfamiliar standardized admissions exams: the Independent School Entrance Exam (ISEE) and Secondary School Admissions Exam (SSAT). Most private, independent, and boarding schools require one of these tests for admission. Research your schools to determine which test they accept (some accept both!) and prepare accordingly. As you go into the preparation process, keep in mind that scores on the ISEE and SSAT do not necessarily correlate with class performance. The ISEE and SSAT measure how students compare to thousands of the top students around the country, and therefore your student’s initial scores may not be as high as you anticipate. Get started with free mini-tests for the ISEE or SSAT now. What are the levels of each test? If you have the option of taking either test, it’s important to know the differences between the two so you can make an informed choice. One of the most significant differences between the ISEE and the SSAT is the score report. The ISEE presents four section scores, while the SSAT shows only three. Although both tests have four multiple choice sections (two math, one verbal, and one reading), the SSAT combines the two math section scores into one number on the final report, while the ISEE keeps the two separate. Thus, students hoping to highlight their abilities in math should aim to take the ISEE if possible. Guessing strategy: The Middle and Upper Level SSAT have a guessing penalty: students receive one point for each correct answer, zero points for questions left blank, and lose ¼ point for each wrong answer. This scoring model can sometimes increase feelings of anxiety for nervous test takers. The ISEE does not remove points for incorrect answers. Writing sample: As part of both the ISEE and the SSAT, students complete an unscored writing sample. This piece of writing is sent to schools along with scores on the multiple-choice sections of the test, and admissions departments consider it as part of a student’s application. On the ISEE, students are prompted to write an expository essay, while the SSAT provides Middle Level testers the choice between two creative writing prompts, and Upper Level testers the choice between a creative prompt and an expository prompt. Verbal section: Both the ISEE and SSAT ask students to answer synonym questions. In addition to these, the ISEE features sentence completions, while the SSAT has analogy questions. A student should try each of these types of questions and see which is more intuitive. The SSAT offers test dates every month, while the ISEE can be taken once in each of its testing seasons. The ISEE seasons are fall (August–November), winter (December–March), and spring/summer (April–July). Since students can take the SSAT and the ISEE more than once, it’s a good idea to be strategic about when they first take the test. Don’t sign up for the last available test day before applications are due. Give yourself time so that your child can take the test again if the first test does not go as well as you had hoped. How should students prepare for the test? Start early – even six months before the test date. Begin with a full-length practice test, which will serve as a diagnostic. (Here’s where to find one for the ISEE and SSAT.) This will give your student a deeper understanding of the exam’s specific format and level of difficulty. Don’t expect your child to know everything right off the bat: the exams are challenging and will often delve into above-grade-level content. Pinpoint strengths and weaknesses. Use full-length practice tests to identify areas that need work and focus study on those areas. Learn the relevant concepts and skills, and then apply those through targeted practice. To improve performance on the verbal section, students should study 20 or so vocabulary words every week. Consider hiring a test-prep tutor if your student has some catching up to do! Encourage your child to practice essay writing with different essay prompts and topics about once per week. Learn test-taking skills. Quickly eliminating wrong answers and managing time efficiently will maximize your child’s performance on test day. While certainly not the only criteria for admission, the SSAT and ISEE play an important role in creating a more complete picture for school admissions staff, helping to choose between potential students. The purpose of the ISEE and SSAT is clear: to provide a standardized metric by which to compare students. Other possible metrics, such as grades or teacher evaluations, can vary significantly between schools, making them less helpful to admissions committees. While certainly not the only criteria for admission, these exams play an important role in creating a more complete picture for school admissions staff, helping to choose between potential students. The importance of scoring well on these exams cannot be understated. When a school receives hundreds or thousands of applications every year for only a few spots, it is highly unlikely that the admissions staff will have time to fully consider every aspect of every application. At such times, the only applications that get evaluated have standardized test scores above a certain threshold. A lower score on standardized tests can help to identify students who may have fallen behind the expected curriculum. In this case, a lower score indicates that a student may require additional resources and assistance from the school in order to succeed. Though standardized tests are only one aspect of a holistic application process, it is important that test scores are high enough to be consistent with the rest of the application and to represent the true capacity of the student. Like any performance-based activity, test-taking is a skill that can be learned. The ISEE and SSAT are challenging exams that intentionally expose test-takers to material and question types not covered in a standard curriculum. Research indicates that beyond content knowledge, test-taking behavior is important for optimum test performance. Exposure and consistent practice have proven to be the most efficient method to tame both tough questions and test-related stress. To expediently determine how much prior study will be required, take a practice test as early as possible. This serves as a diagnostic: It indicates how the student would score if taking the test today, and provides a practice roadmap, pinpointing strengths and weaknesses. This gives the student realistic, data-driven feedback on where there may be knowledge gaps, and where to focus attention and effort. Check out these free mini-tests for the ISEE or SSAT now. About the authors: Test Innovators offers an advanced online test prep solution that leverages aspects of machine learning, AI, and big data to improve test scores and help students gain acceptance into schools with selective admissions processes. Test Innovators proprietary practice tests are an accurate reflection of the official tests. Practice exercises, scoring results, and related information are used to help students understand the gap between their existing scores and what they need to get accepted at their school of choice. We reached out to Christy to help us navigate the middle school process. After various meetings with us and our son, she was able to determine the “right fit schools” for him. We did some ISEE test Prep on her recommendation, met a handful of times after we went to visit a school, and had her review our essays. She was always available via email and/or phone and it never took her long to respond which kept us calm throughout the process. We are happy to say our son is going to his top choice school in the fall. I highly recommend Christy to anyone who is looking for help with the school process in the Seattle area. From the moment we met Christy we felt at ease. We felt comfortable sharing all of our hopes and dreams for our child’s educational journey as we contemplated kindergarten. Christy’s ability to deeply listen to our family’s particular needs and her wise responses to our many questions greatly helped us to stay focused on the process and stay in touch with what we wanted in a school for our child. In retrospect, it’s clear to us how well she understood what we were looking for in a school, by virtue that our top choice was not on our initial list of schools and was presented by her as a gentle “you might want to think about this school” suggestion. Christy’s guidance from start to finish was expertly! We are so incredibly grateful on a multitude of levels. Her responsive, insightful and generous demeanor were impressive. Christy’s warm and sun-infused presence clearly shone throughout the process! Are the schools you are interested in teaching Character Education? The admissions season has begun! One aspect of the independent school admissions application process is the Parent Essay. This can be a daunting experience for parents but it doesn’t need to be. Here are some tips for writing an essay that really illustrates why the particular school is the best fit for your child and for your family. Many schools will ask why you are applying to their particular school. You will have visited the school in some capacity (Open House, tour, etc.) so show them what about the school makes it a perfect fit for your child. Is it the academic program? Is it their arts program? Is it the community? If possible, include thoughts about how the school’s mission aligns with what you are looking for in a school. When describing your child, be honest. Schools don’t expect a “perfect” child. They expect a child who has strengths and weaknesses and since you are the one that knows your child best, you should talk about these honestly. How does your child shine? What are some areas of growth? Give a particular example of something that uniquely describes him/her. Illustrate things that will help your child stand out and make the school want him/her to be a part of their community. Maybe tell a story that will be a window into your child. Volunteerism and fundraising is a part of being in an independent school. Describe how you and your family will be a part of the school. Have you volunteered at your child’s current school? Do you enjoy being involved in the life of the school? Have you served on a Board? The Parent Essay is one piece of the application but it’s an important one because it’s your chance to tell the school about your child and your family. Admissions Committees want to make sure their school is the right “match” for your child so being honest and transparent is important. Happy New Year! As we approach the independent school decision-making time, many parents/guardians are thinking about whether or not to “redshirt” their rising Kindergartner. This article has some interesting points. As an Educational Consultant, I believe that, in the end, each child is so different and therefore there is no right or wrong decision. We’ve been here before. She’s our family’s third summer baby, which in our Ohio school district means that all of our kids turn 5 just under the kindergarten cutoff of Sept. 30. Our youngest is small, a bit shy, and sticks mostly to one or two friends. She’s also bright, capable, emotionally secure, and on the cusp of literacy. What to do? Five years ago, we had a similar discussion about our eldest, who is an early September baby. He was clearly ready academically, but was emotionally and socially “young.” His preschool recommended another year, a practice that has become known as academic redshirting, and so we waited, but not without some hemming and hawing. Three years ago, we were back to it with our older daughter, a late-August birthday. She also was academically ready, but was so withdrawn in early preschool that we had actually wondered whether she had selective mutism disorder. It turned out she didn’t have the condition, just extreme introversion and shyness, but the preschool again recommended another year for greater social and emotional maturity. Again, after some angst, we took their recommendation and waited. Meanwhile, inside elite preschools, the preparedness gulf is still widening. Five years ago, when we enrolled my son in his extra “Pre-K Plus” year, only July, August and September birthdays — those just under the Sept. 30 cutoff — were typically eligible to enroll. Occasionally, a June birthday could enroll with special permission, and most typically with an I.E.P., individualized education program, showing a specialized educational need or delay. Now, as my youngest is rounding the corner to kindergarten, our preschool regularly enrolls June and even May birthdays without any unusual need demonstrated. The fact that my bright, typical, early June daughter is even being considered for a kindergarten delay just goes to show how far things have crept; she would finish kindergarten right around her seventh birthday if we held her back. Somewhere, a line must be drawn. Of course, I don’t have to hold my child if I don’t want to, and I’m almost certain we won’t this time. Yet, her kindergarten classroom is likely to have a wider spread of ages and abilities than ever. It may very well include children who are just under 5 years old, who have never been to preschool and can’t sit still, and in the same room, mature 6-year-olds who are fluently reading chapter books and ready for advanced math. The increased teacher burden, and the effects on the collective learning experience, seem readily apparent. We can make the decision only for our own children, of course, and we parents all want to do what’s best for them. Sometimes, that’s another year of preschool. “You’ll never regret it,” other parents and educators alike have often advised me over the years. I’m afraid it’s not quite that simple — not for me, and not for elementary school classrooms. Although my older kids are doing well, I admit I’m still a little conflicted about holding them. Perhaps their success in school has less to do with any inherent advantage to their being older, and more to do with the fact that any child whose parents have the financial ability to wait probably already has the decked stacked in his or her favor. Most of these kids, like my youngest daughter, will be more than fine either way. But what about the rest of our children? Sharon Holbrook is a freelance writer and the founder of Green Up Cleveland. Follow her on Twitter: @216Sharon. 1. How does the community feel? Is it a place you can see your family? If it’s an elementary school, do you feel like it’s “your community?” In elementary school, many of the parents will become your friends so you need to feel like it’s your “home.” In middle and high school it’s more about if your child feels like it’s his/her community. 2. Can you see evidence of the school’s mission when you visit? Every aspect of a school should come back to their mission and it should be apparent. Does the mission talk about a strong academic program? Does it mention a commitment to global learning? Is diversity important?You should be able to see pieces of the mission when you tour the school. This also relates to what the school values and what your family values. 3. What is the academic program like? Is it rigorous? Will your child be challenged there? Will he/she struggle with academics? Is the school’s focus more about social-emotional learning? Is it traditional or progressive? Do they have a focus toward gifted education? Do they offer an athletic program? Arts? Is there a focus on standardized testing? 4. Is the school accredited? If so, by whom? Accreditation processes and standards vary. Some are more detailed and rigorous than others. Is the school a member of the National Association of Independent Schools (NAIS)? 5. Cost and financial aid. What is the tuition and what does it include? Does it include after school care? Does it include class trips? What is the average financial aid award given? How is an award determined? Is it need-based or merit-based? 6. Faculty and Staff. Can you see the evidence of teachers enjoying teaching? Are the classes mostly teacher-led or student-led? Are the students engaged? Choosing a school for your child is one of the most important decisions you will make as a parent. Using the above guidelines will help you evaluate a school. It’s school shopping season and we want to make sure you have all the information you need to feel supported in your school search. Our last post featured an interview with college admissions counselor Heather Parry, helping us put college worries aside until high school. Today, Education Consultant Christy Haven, shares what parents need to be thinking about when searching for preschool through middle school options. Christy Haven knows what she is talking about. She has been an admissions director at area schools for over 15 years, and during that time has helped over 150 families through the middle school application process. Christy’s knowledge of Seattle area schools runs deep, as does her ability to help families move through this process with confidence and ease. Her guidance was just what we needed as we moved through our own middle school search and application process last year. One of the best parts of working with an education consultant is reducing stress and helping parents and kids work together through the process. When do I need to start thinking about school options for my kid? Christy: Deciding when to begin the process of looking at schools can really vary from family to family and it also depends on the age of the child. Some families prefer to look ahead of time (before the admissions season) so they feel calm when the season approaches. Others don’t want to think about it until they absolutely have to. Either way is perfectly ok! Here are some guidelines. Preschool – Most Preschools in Seattle have an application deadline of the first week of February so beginning your search process in the late fall is ideal. Some Preschools have rolling admissions and will accept children all throughout the school year based on number of openings. Tour dates can vary but are usually in the late fall and throughout the winter. Pre-Kindergarten – This can definitely vary. If you are considering a school that is only Preschool and Pre-K (for 2’s, 3’s and 4’s for example), the deadlines are usually in February. If you are considering a Pre-K that is part of an elementary school, those application deadlines usually fall on the same date as the elementary, middle, and high schools (mid-January). Elementary, Middle and High School – Application deadlines are usually in mid-January so tours usually begin late September/early October. Many schools hold Open Houses in the fall as well. There are so many schools; it’s overwhelming! Where does a parent start? Christy: First, take a deep breath! The best way to begin this process is to start early so you don’t feel stressed and more importantly your child (if he/she is applying to middle/high school and a big part of the process) doesn’t feel stressed. Start by thinking about what is important to you – Are you willing to commute to take your child to school? Do you want more of a neighborhood school? Do you want a large or small school? Once you’ve identified what’s important to you as a family, then you can look at some school websites and see if they speak to you. From there you can narrow down your search and start visiting schools that interest you and meet your initial criteria. As soon as schools begin to schedule open houses, put those on your calendar and attend. Feel free to bring your child to the open houses unless your child becomes overwhelmed in environments with lots of people! Your child will have their own visit to be able to experience the school and give you their thoughts (even Kindergarten applicants have thoughts about their school visits). What factors should I consider when looking at schools? Christy: This really depends on your family’s values. As I mentioned above, location is important to some families, size of school is important, etc. From there you need to get more specific about what is best for your child and your family. Does your child need an environment with a lot of structure? Does he/she need to be where he/she isn’t sitting a desk and is allowed to sit on the floor at times or in a quiet space in the classroom? Is academic rigor important? Is a social emotional programming something your family values? Most importantly, does the school feel like “your” community? This is especially true for elementary schools. Your child’s friends’ parents become your friends during the elementary school years and it truly becomes your community so it needs to feel like “home” to you. In middle and high school, it’s more about what is best for your child. What is he/she like as a learner? What has worked in elementary school and what hasn’t? Are competitive sports important to your child? Are the arts important? I want my child to get in to a good college, how do I know if a preschool or elementary school is going to put them on the right path from the start? Christy: Unfortunately, no school is going to put your child on the right path to college. Some schools are more academically rigorous than others but that doesn’t mean that your child will get into a good college by attending there. Middle schools and high schools do have lists of where their graduates have attended college; review those closely when deciding on a middle or high school. In the end, though, what is really important is that a school looks at the whole child whether it’s in elementary, middle, or high school. Research shows that colleges want well-rounded students; those who have a strong academic record but who also have a resume with extra curricular activities, community service, etc. What goes in to the application process? Christy: Each school is different but here’s some ideas about what to expect. In preschool, it’s usually a parent visit and an application. Some Preschools do have the child visit as well. Elementary schools will definitely have a student visit. Some schools have parent interviews as well. The parent completes the application for both preschool and elementary school. Middle and high school have student visits, and most have parent interviews. They also may require specific testing as a part of the admissions process. Both parent and student will have pieces of the application to complete. What is education consulting? Why might a family choose to work with one? Christy: Education consulting involves many different things. It could be helping a family narrow down their school search by getting to know the student and family. It could be helping the student or parent write their admissions essay. Consultants are committed to reducing the anxiety and stress that this process can bring and assure the family that there is a school for every child! If you could give parents one piece of advice around choosing and applying to schools, what would it be? Christy: To try not to worry. It’s important that your child isn’t stressed and they will pick up on your stress. The most important thing I’ve learned after being an Admissions Director for 15 years is that things always work out the way they are supposed to and there is a school for every child that is the right fit! Choosing and applying to schools can be an overwhelming process and we hope these tips from Christy can get you off on the right foot. If you are looking for support in the application process, you can find Christy at Mindful Education Consulting. For more on choosing a preschool, check out one of GROW Parenting’s most popular posts, Preschool Shopping 101.